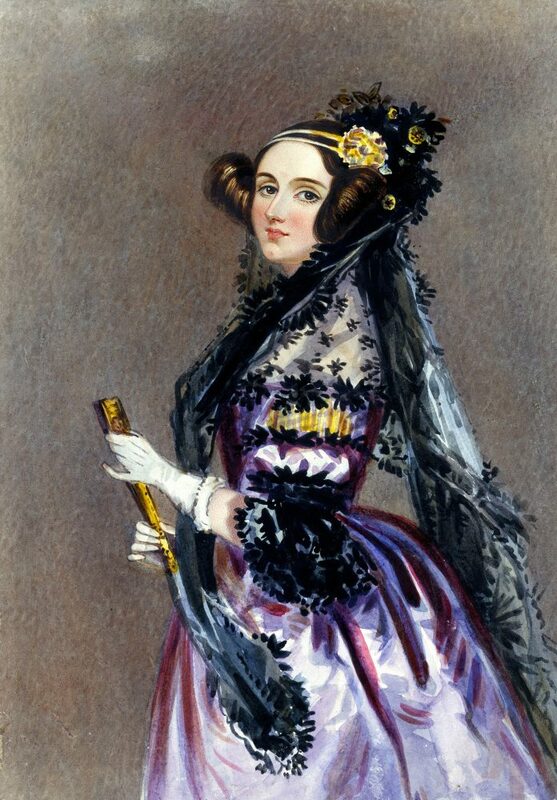 Ada Lovelace was born Augusta Ada Byron in 1815, the only legitimate child of the poet Lord George Gordon Byron. She married a man named William King, who later became an earl, at which point she acquired the title Countess of Lovelace. So Ada was not her first name, and Lovelace was not her surname, but “Ada Lovelace” is certainly less of a mouthful than “Augusta King, Countess of Lovelace.” In any case, Ada is best known as the creator of an algorithm for Charles Babbage’s proposed analytical engine—that makes her the first computer programmer. And so, each year on the second Tuesday of October, we honor her memory by celebrating women in STEM (science, technology, engineering, and math) and encouraging girls to pursue their interests in those fields.